Paul Weller To Release "Just A Dream/22 Dreams Live" – Paul Weller News! 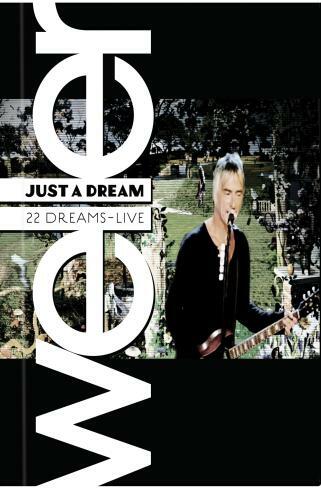 Paul Weller will release a CD/DVD Deluxe combo on 8th June titled, “Just A Dream/22 Dreams Live.” The CD consists of 13 tracks recorded at the Brixton Academy, London in November 2008. The DVD has a 90min/21 track live session recorded for the BBC, first televised in December 2008, a 5-track session recorded for Channel 4, the videos for ‘Have You Made Up Your Mind’ and ‘Echoes Round The Sun’, end-of-2008 interview with Paul and his band. Both will be housed in a hardback bookcase packaging with a 32 page booklet of previously unseen photographs. Previous Entry Paul Weller Talks Up New Material! Next Entry Support The Moons And Their Quest To Play The V Festival!